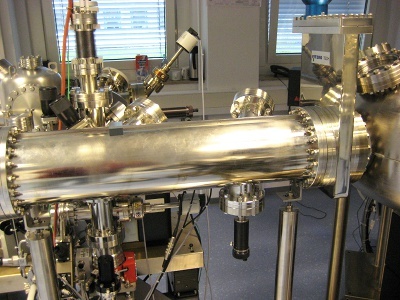 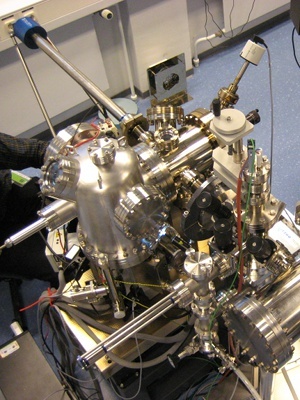 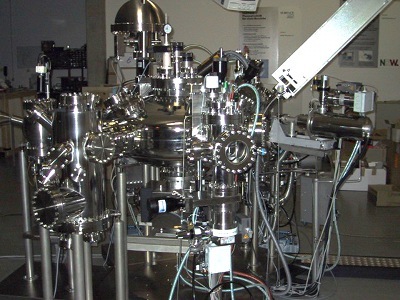 Laser Star Laser MBE with two additional evaporation chambers, a UHV AFM/STM, and a UHV transport chamber. 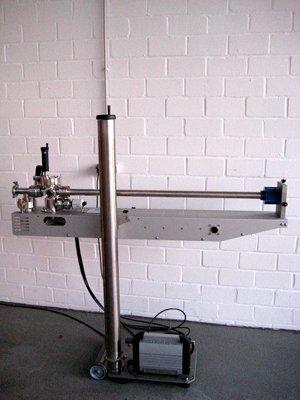 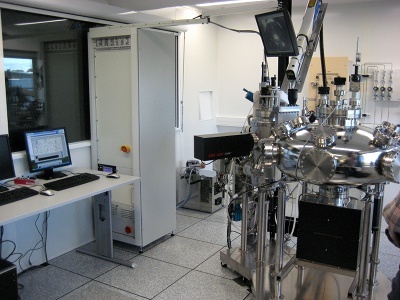 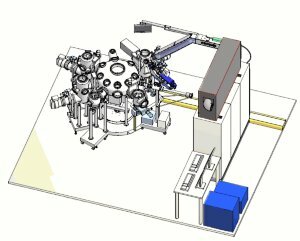 The Laser Star system is able to combine different coating and analytical technologies into one powerful system. 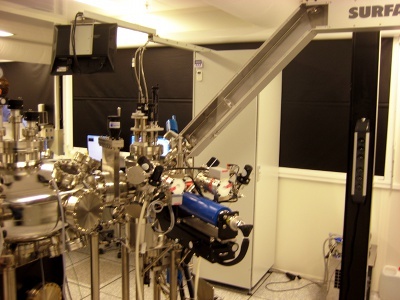 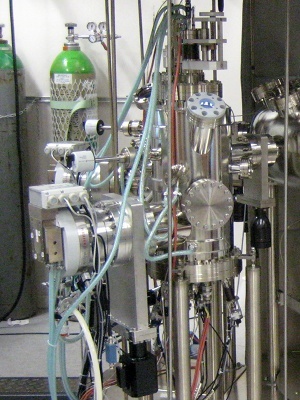 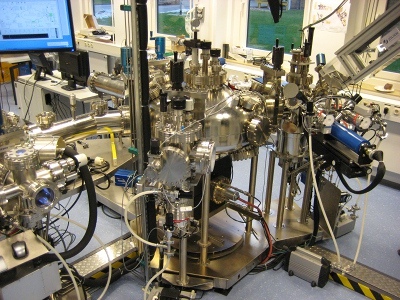 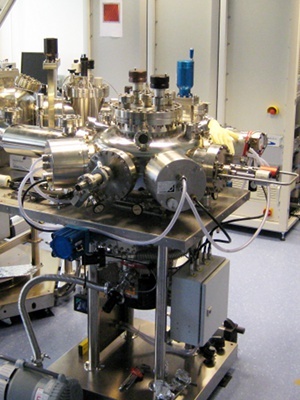 Up to seven individual process chambers can be attached to a central transfer module, enabling complex processing in UHV conditions without venting the sample! 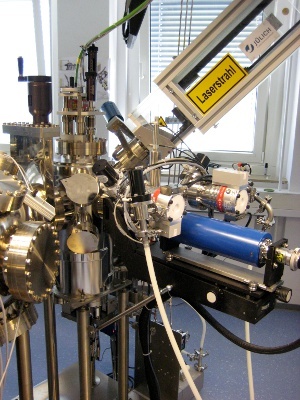 The fully UHV compatible Laser Star system grows with your needs. 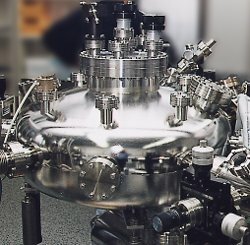 The heart of the system is the central transfer module and a load-lock chamber. 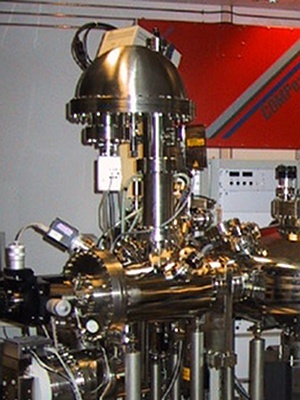 Additional deposition, analysis, and specialized transfer modules are easily added to the system. 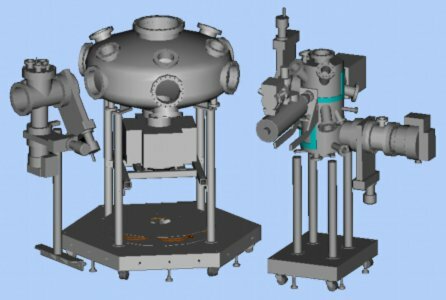 Due to the modular design of the system (each module comes on a separate stand with wheels), this is a fast and easy process. 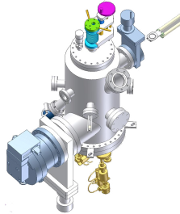 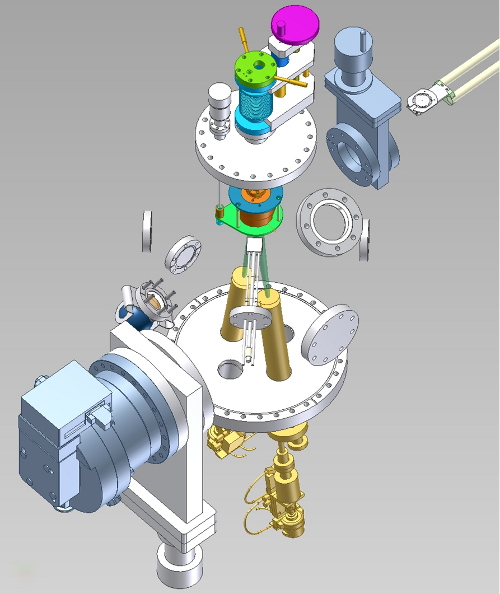 The whole system is designed to save space and yet provide excellent accessibility: All vacuum chambers are free standing, giving easy access to all flanges and components. 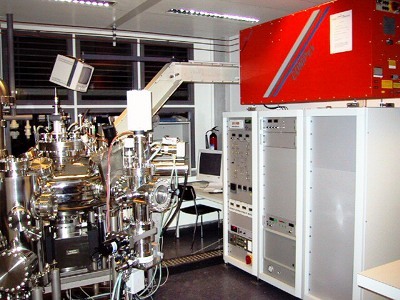 The transfer system can be modified to adapt to the requirements of your individual additional analysis or processing systems.